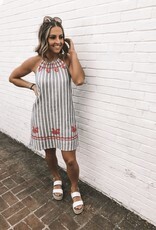 How cute is this embroidered detailing on these stripes?!?! 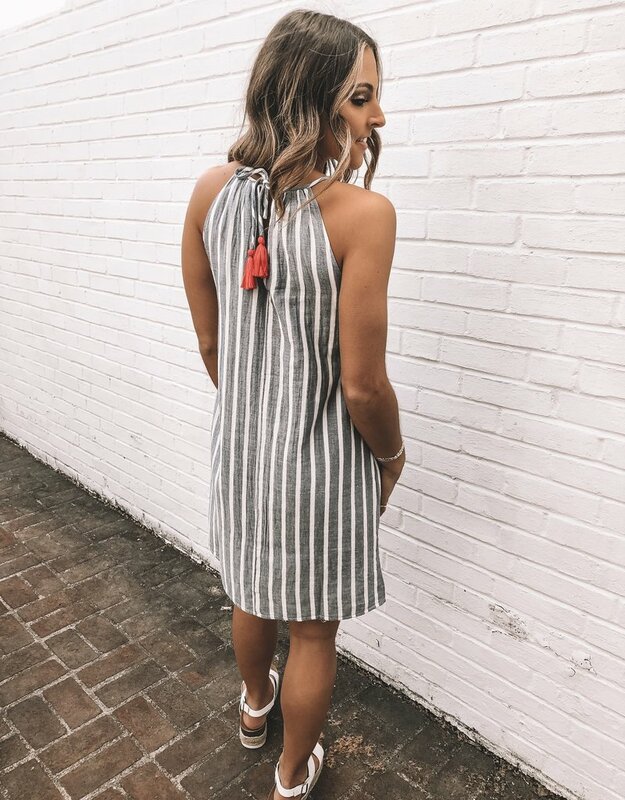 The Isabel dress is a striped dress with a halter neckline and embroidery detail perfect for Point to Point! !